As KTM is mainly into dirt bikes they needed a premium helmet for this segment. a-tec engineers have developed the lightest ECE approved helmet in the world with the MARUSHIN RS-MX. That helmet weighs only 850 grams. For KTM we developed a special edition of the fiberglass version of the RS-MX. 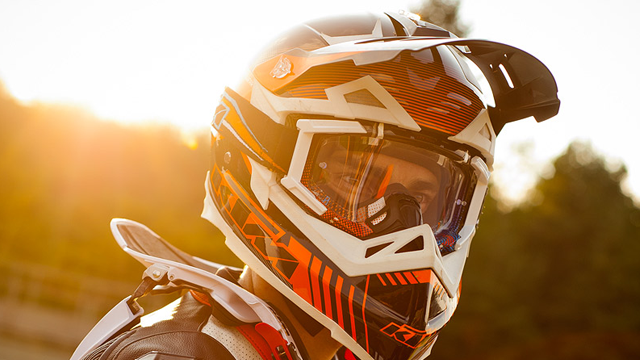 The KTM Tech 12 Helmet is the result, looking as aggressive and cool as the bikes itself.